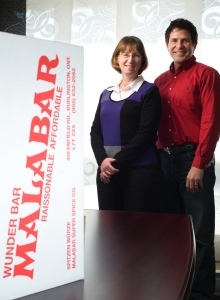 From left: Doris Valade, owner and president of Malabar Super Spice Co. Ltd., and John Tavares, operations manager. It wouldn’t be too much of a stretch to suggest that processors and marketers of spices may well be the unsung heroes of the modern food-processing industry, but for the folks at Malabar Super Spice Co. Ltd. in Burlington, Ont., simply keeping its clients in the meat-processing, snack-food manufacturing, and foodservice industry coming back for more of the company’s many exotic and aromatic spice blends and powders, time after time, is a sufficient reward in its own right. 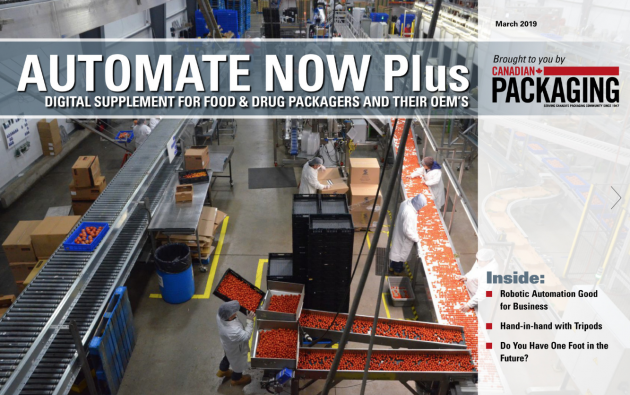 “We are here to support food processors from start to finish—not just with all the products and supplies they need, but also with all the advice and technical support that they may require,” explains Malabar’s operations manager John Tavares. Operating out of a 16,000-square-foot HACCP (Hazard Analysis Critical Control Points)-certified facility, Malabar Super Spice—its name derived as a tribute to the Indian southeast-coastal province of Malabar, renowned worldwide for the quality of black pepper originating there—has worked closely with thousands of food processors over the last 28 years, according to company president Doris Valade, consistently drawing top praise for superior service and exceptional product quality of its spices, ingredients, seasonings, custom formulations, flavorings, marinades, batters, breadings, and related processing supplies. 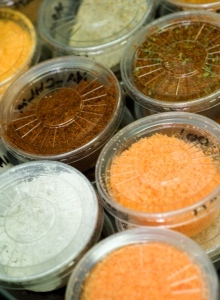 Malabar keeps comparative samples of all of its spices at its in-house laboratory. Valade estimates that Malabar today offers over 5,000 distinct spice products in four to six different variations apiece—providing its food-processing customers with a broadly diverse range of product options and recipes. 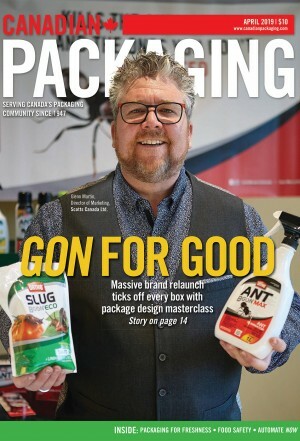 “Our job is to support processors by supplying them with what they need to make excellent food products to sell to the Canadian consumers to bring home to their dinner tables,” says Valade, who has incidentally made the prestigious W100 list of top Canadian women entrepreneurs of the Toronto-published Profit magazine for the past seven years. 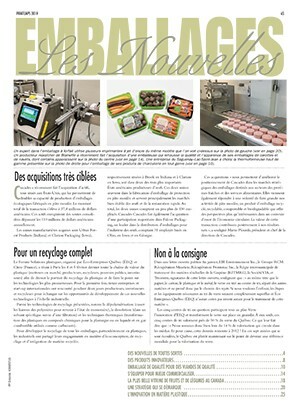 “In many cases, the only place you can get products like these in Canada is from Malabar,” says Tavares, citing an impressive list of loyal clients that includes: R. Denninger Ltd., an Ontario-based producer of European-style sausages, meats, cold-cuts, salads and prepared foods; the federally-registered Springer’s Meats, processors of high-quality cooked and smoked meat products; and the popular restaurant franchise chain Kelsey’s, to whom Malabar supplies everything from chicken-wing sauces to seasoning mixes for the Bloody Caesar cocktails. According to Tavares, Malabar even played a key role in the development of the popular seasonal favorite Lobster Sandwich from the Subway restaurant chain. Tavares says that ensuring long-term success in the highly competitive spice industry often requires smaller-sized companies like Malabar to hook up with high-profile, globally-operating companies with well established world brands, which is why Malabar recently became the Canadian distributor for the German-based group RAPS GmbH & Co. KG, headquartered in the Bavarian town of Kulmbach. Malabar has partnered with German spice producer RAPS to become its first North American distributor. Operating a global network of 12 subsidiaries and over 30 distributors, the German company’s PureLine Seasonings product line makes a perfect portfolio complement to Malabar’s own PureSpice ultra-pure premium spices. “Malabar and RAPS have been working in partnership since October of 2008,” explains Valade, “and it is certainly an honor for us to have been sought-out by RAPS to be their partner on the account of our industry reputation for high quality and customer service. Tavares estimates between 35 to 40 per cent of Malabar’s current spice inventory is supplied by RAPS from its globally-located farms, and he expects that number to increase in coming years. “We have found out that the quality of spices offered by RAPS is far superior to those from many other sources,” says Tavares. 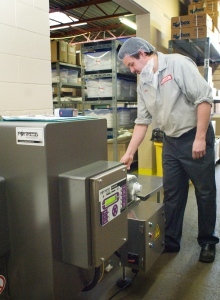 Purchased just months ago, the Phantom metal detector provides superior product safety inspection performance as part of ensuring the spice manufacturer’s HACCP certification compliance. Despite the company’s impressive marketplace gains and inroads to date, both Valade and Tavares agree that the spice industry is one tough nutmeg to crack—with plenty of fierce competition and relatively slim margins—making continuous investment in efficient and more productive production machinery an ongoing quest. As part of this open-ended continuous improvement process, Malabar recently purchased a new Phantom series metal detection system from Fortress Technology Inc., Toronto-headquartered manufacturer of industrial metal detection systems for food, pharmaceutical, lumber, plastic and textile industry applications, with operating subsidiaries in Sao Paulo, Brazil, and Banbury, U.K.
A worker utilizes an Orion stretchwrapper to prepare a shipment. Installed at the Burlington plant last December, the Phantom metal detector has been doing an outstanding job of ensuring that all the product leaving the Malabar facility is completely free of metal contaminants and debris, relates Tavares. “We have utilized another metal detector prior to our purchase of the Phantom, but if it broke down we would be unable to ship anything out to our customers,” says Tavares. 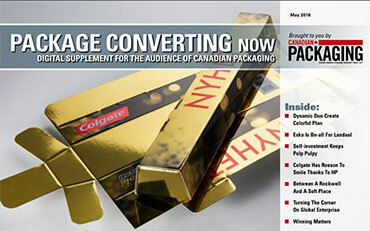 “So having this new Phantom system here really helps us cover the angles,” says Tavares, adding that the new Phantom system now handles most of the plant’s metal-detection tasks in the ingredient picking area—relegating the original metal detector to secondary-packaging operations in other parts of the plant. • The Auto Cal instant system set-up, activated via a simple touch of a button. “Perhaps because the Phantom utilizes newer technology, we haven’t recorded any ‘false positive’ readings with it yet,” says Tavares, while dispensing high praise for the after-sale customer service and training provided by the Fortress staff. “The folks at Fortress have been absolutely superb with their customer service,” Tavares enthuses. “Not only did Fortress come to our facility and train us, but they contacted us with follow-ups to see how it was working for us, so we are all very impressed with their customer relationship skills. “I wouldn’t hesitate to purchase another machine from them again, or to recommend them and their top-notch equipment to anyone else,” adds Tavares, noting that the Malabar plant conducts three tests daily with the Phantom system to separate the actual metallic debris from the naturally-occurring metallic particulates in some spices. Malabar plant employee preparing a spice recipe. 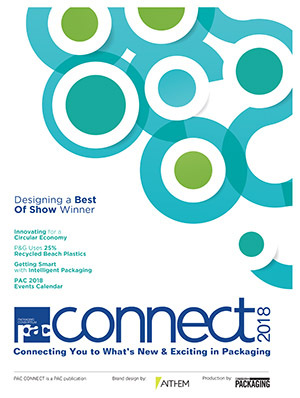 To complement the plant’s hard-earned reputation for superior product integrity, Tavares adds, Malabar also makes extensive use of the Toshiba model TEC B-SX5 thermal transfer/direct thermal printer for quick generation of labels with complete customer and product information for every package that leaves the plant. Equipped with Toshiba’s proprietary 306dpi printhead, the B-SX5 printer provides Malabar with all the performance advantages of a high-precision heat history control, displayed in seven stages; a new hyper-heater mechanism and improved alpha protection layer; and a handy ribbon-saving function for optimal cost efficiency. “Along with providing a high-quality product,” sums up Valade, “we like to pride ourselves on being flexible enough to respond to any client’s requests creatively, cost-effectively and with a smile. “We don’t stop trying until the customer has exactly what they need when they need it,” she concludes.